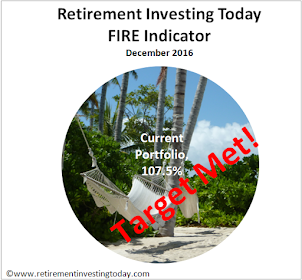 Retirement Investing Today: Are we back to blowing asset bubbles already? Last week saw Alan Greenspan interviewed as part of the Financial Crisis Inquiry Commission. The Times reported that during this interview “Mr Greenspan denied his policies encouraged the type of risky lending that spurred the financial crisis. The long-time Fed Chairman - whose reputation has been deeply undermined by the crisis - denied low interest rates and loose regulation had encouraged lenders and borrowers to take ever greater risks." I’m starting to look around me and wonder if record low interest rates and loose regulation today are already starting to cause bubbles to be blown meaning another bust is just around the corner. As I posted a couple of days ago the Bank of England kept rates at record lows of 0.5% for the fourteenth month in a row. The Federal Reserve Rates are also at record lows. Are they doing exactly what Mr Greenspan was accused of doing? UKBonds. UK 10 year gilts are currently yielding 4.05%. Given that the UK retail prices index is currently 3.7% the real (after inflation) return is only 0.35%. We know for bonds that as yields rise prices fall. Are UK gilts in a bubble? UK Equities/Stocks. Returns on stocks for an investor are always the capital gain on the stocks (increase in price) plus the dividend yield. 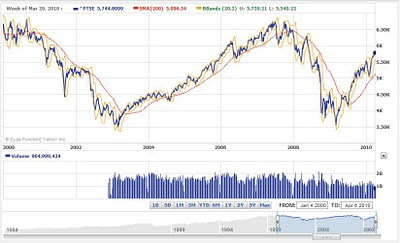 Recent history suggests that it’s very difficult to get a return through capital gain as my first chart courtesy of Yahoo Finance for the FTSE 100 shows. Additionally the dividend yield on the FTSE 100 is currently 3.0%. The yield is less than inflation. Are UK Equities in a bubble? US Equities/Stocks. The cyclically adjusted price earnings ratio (PE10 or CAPE) for the S&P 500 is now back above it’s 80 percentile. Are US Equities in a bubble? Gold. 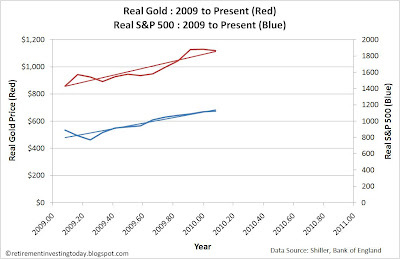 Since 1968 real gold has carried a correlation of -0.32 with real S&P 500 prices. This means that generally when gold is falling stocks are rising and vice versa. This can be seen on my regular gold charts. However look at the chart more closely. Since the start of 2009 the correlation has changed to 0.85 which can be seen in my second chart today. 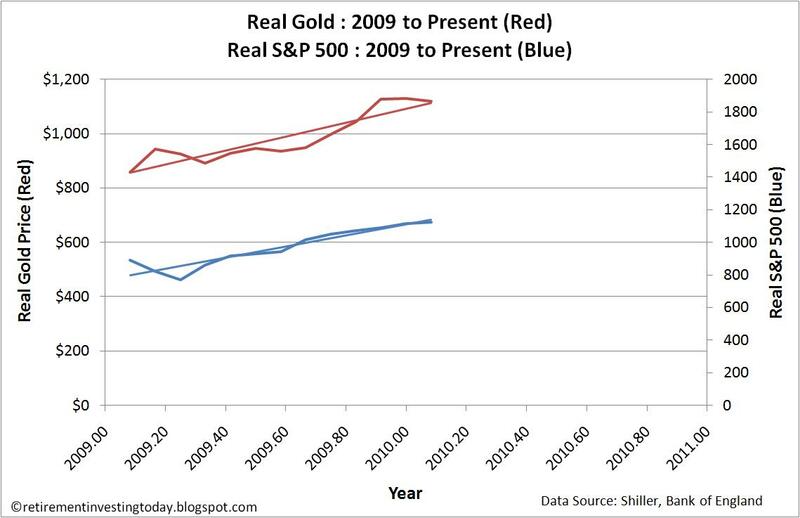 So gold as an asset is rising along with stocks in almost perfect correlation. Is gold in a bubble? Of course I would never try and trade this. I am more than conscious of the old saying that the market can remain irrational longer than you can remain solvent. I’ll stick with my mechanical strategic asset allocation with some tactical mixed in based on cyclically adjusted price earnings ratios (PE10 or CAPE) for my retirement investing strategy. I will however ask have we not learnt anything from history? In fact recent history that was being reviewed only last week. Regarding UK equities, I don't think we're in a bubble. If you use real PE10 as a valuation tool it comes up around 14-15, which is low by US standards and low by recent UK standards. The lack of capital gains in your first chart is largely due to mean reversion of UK equities from extreme valuations (PE10 in the high 20's) a decade ago to below average valuations today. Sorry to sound so critical! From what I can see the PE for the FTSE 100 is always a lot less than say the S&P 500 or the ASX 200. For example yesterday the S&P 500 PE was 17.8 and the UK was 12.7 according to the Financial Times. I'm not sure which index the UK PE is referring to however. Extrapolating very roughly the S&P 500 PE10 at my last post was 20.9 with yesterdays PE at 17.8. With the UK PE10 at 12.7 there is a chance that assuming earnings cycles were similar across the indexes that a PE10 of 15 could be bubble territory for the UK. After all that's an earnings yield of only 6.7%. The S&P 500 is already over its 80th percentile for its PE10. This makes it very much on the way to a bubble IMO. Agreed on the lack of capital gains however I'd challenge that if we are back in a bubble it could all happen again meaning no gain. You're therefore left with a negative return after inflation is accounted for on your earnings but yet you're carrying stock market risk. Please don't apologise for be critical. Everybody who comes to this site (including myself) I'm sure is here to learn. Debate (and personal mistakes) are the only way to learn IMO. Personally I'd prefer my learning to come from debate as it means I don't lose money through mistakes. I have some PE ratio data for the FTSE 100 going back to 1993. I found this data in a forum post on Motley Fools (not exactly peer reviewed but it's the best I could find). The values seem reasonable so I've plugged them into a spreadsheet you can hopefully find at http://dl.dropbox.com/u/5236691/PE%20Based%20Asset%20Allocation%202.xls. On the 'current pe x 3' tab there's a column called p/e which has the values for each year. I've derived earnings from the FTSE 100 level at 1st Jan each year which is one of many minor errors in the spreadsheet since I have no idea what date the PE values relate to. However, it should make that much difference. Also I've used RPIX to make the earnings real which may also not be right but shouldn't matter too much. The long run average S&P CAPE is approx 16.4 and from the data I have the FTSE 100 doesn't look like it will be enormously different. 'Bubble' territory for both is over 25 IMO and we almost reached a CAPE of 30 in the UK in 2000. I expect 15 is about normal. 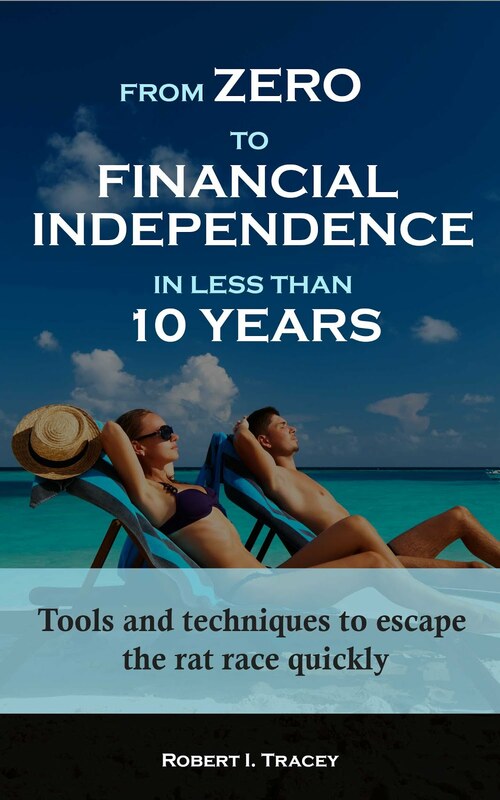 Even if we're not in a bubble we could have no capital gains for another 10 years. However by then earnings would likely have gone up so the stocks would be yielding dividends at historically high levels and expected future capital gains would also be high (assuming you don't believe in the EMH). That's the sort of market I like to get in at (somewhat like March 2009). Thanks for the data. I'll be sure to have a good look through it in the near future. The inflation measure I like to use for the UK is RPI dataset CHAW. Throwing those figures into your spreadsheet shows a peak CAPE of 28.9 in 2000. Ave(1881 - '10) 16.4 ?? All this means that IMO your average CAPE for your 'fair value' measure is way to high. Look at the S&P 500. Over the same period short period it averaged 27.3 but the long run average is only 16.4. Extrapolate quickly (which I appreciate isn't right) =16.4*18.6/27.3=11.2. This puts todays UK PE10 (plugging 5761 into your spreadsheet)at 14.1 which is a long way over 'fair value'. Could it even be a bubble? Or have I misunderstood your spreadsheet? You haven't misunderstood, you've done a great job of extending it. I had been meaning to do what you've done but hadn't got round to it. I agree with all the holes in the data, mostly size and recency, however it's all I've got so far! I do think you have a point though. I definitely need to think some more about UK PE10 levels, but not too much as I don't think it's critical. As long as you have some way of spotting obvious over and undervaluation then the exact numbers don't matter that much. For now I'll say the expected PE10 for the UK is somewhere between 11 and 16! The future will always be uncertain anyway which is why we diversify. Something else I'm looking at is ignoring the data going back to 1881 as it may not be relevant. Investors demand different returns from stocks depending on the level of development of the country and the USA in 1881 is not the USA in 2010. Perhaps the last 50 years may be enough. Sticking a trend line through Shiller's PE10 plot shows an upward trend and the average S&P500 PE10 over the last 50 years is 19, so perhaps current value of 21 is just about spot on! The only way to know is to go back to the future. Thanks for the conversation. I'll have to mull over this and post an article at some point. Thanks for sharing UKVI. As you think and develop your work further I'll be interested to see what conclusions you come up with. It always looks so easy when you see the data presented on this or your blog but I know how much effort goes into it. Wishing you much investing success.